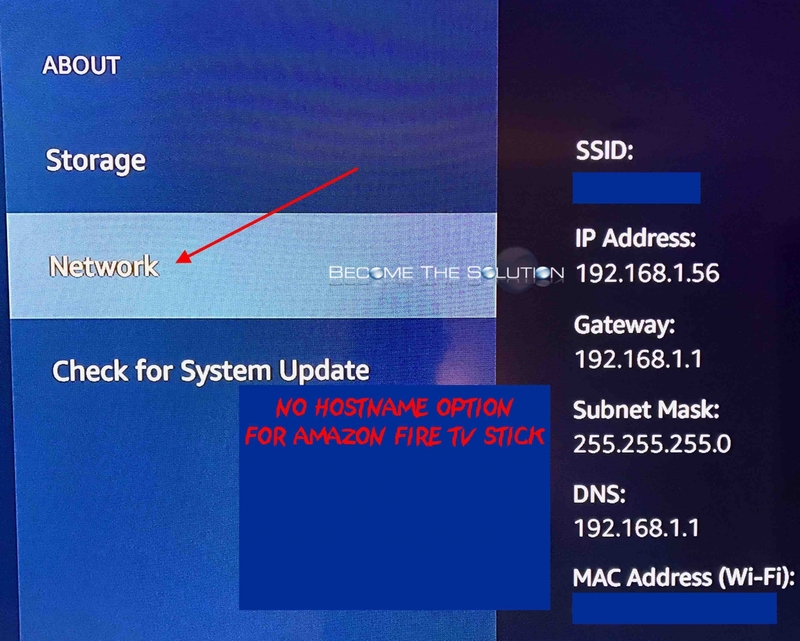 By default, your Amazon Fire TV Stick comes with a generic network hostname when you connect your TV Stick to your network and view it in your device list of your router table. The hostname appears something like “amazon-ce35tgdqd33”. 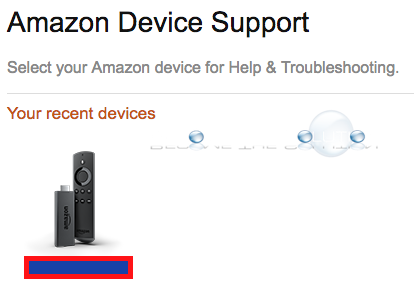 Even if you edit the name of your Amazon Fire Stick on the Amazon website following directions here, Amazon does not update the hostname through your synced account. Additionally, if you browse to your network settings on your Fire TV Stick Settings -> Device -> About -> Network there is no hostname listed for your device at this screen. For those that manage their home networks and like to assign custom hostnames to their network devices (computers, phones, laptops etc.) and assign DHCP reservations, the custom hostname feature is not currently available on the Amazon Fire TV Stick. However, you can still customize a hostname for your Amazon Fire TV Stick if your router allows it. Overriding a hostname on any device your router detects will force that hostname on your network. In order to do this (in most cases), you will need to statically assign a DHCP reservation through your router to your Amazon Fire Stick. It is surprising Amazon does not allow you to customize the hostname on its devices yet but they must have a reason.